Liming offers some of the most remarkable red/purple sandstone formations (‘danxia’) in China, including the fascinating “tortoise shell” surface pattern at Mount Qian Gui in Liming. Along the way, visit the intriguing ‘First bend of the Yangtze River’ at historically important Stone Drum town, where you can see a sharp ‘V’ shaped bend of the mighty Yangtze River . The perfect option if you want to get high without the exertion of crack climbing. 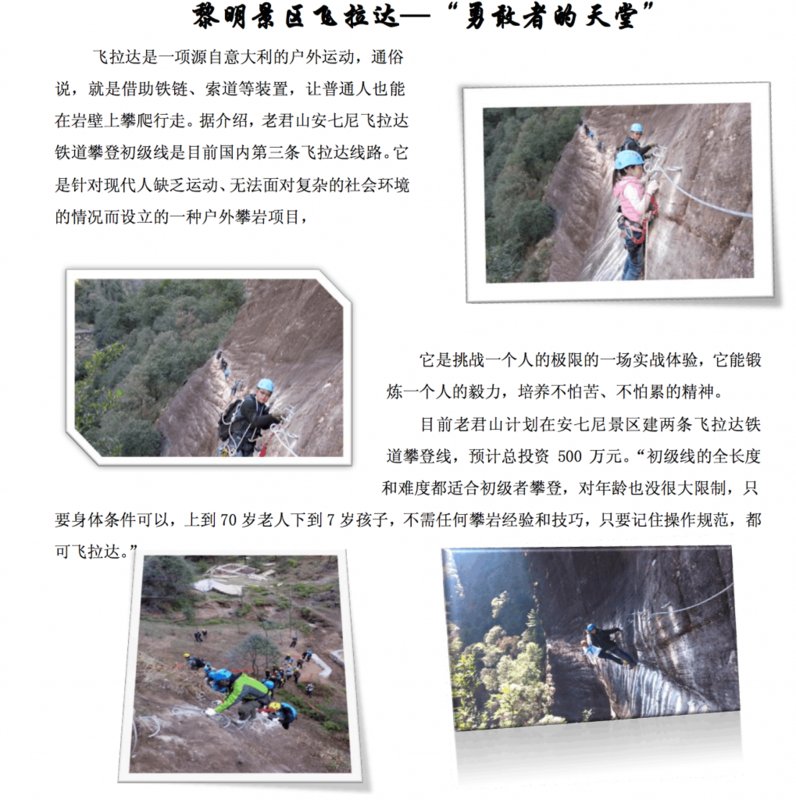 Traveling on a via ferrata is a different way of enjoying the sheer magnificence of the Liming Danxia (red sandstone) cliffs, providing access to places normally reserved for rock climbers and mountaineers. In this awesome mountain environment, you will be stopped in your tracks by amazing views, from a perspective that few have the opportunity to experience!